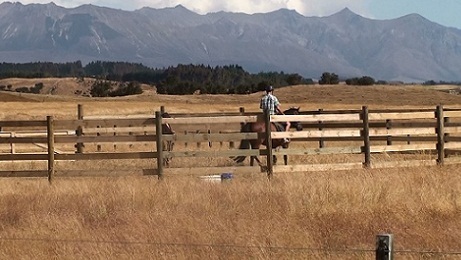 Kepler Treks offers farm tours riding lessons and treks along Lake Te Anau and the Waiau River Fiordland National Park New Zealands largest World Heritage Areas . 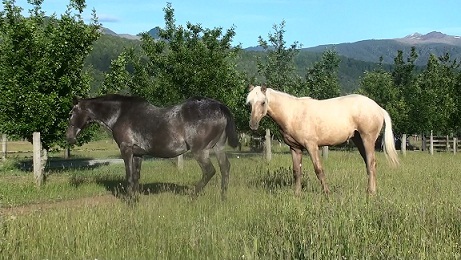 Learn more about Kepler horse Treks . Internationally recognized for its exceptional beauty and natural, untouched qualities, it has been showcased in the Oscar winning "Lord of the Rings" trilogy. Choose a horse riding trek the suits. Accommodation and trekking packages can be arranged. Please email kepler.oaks@teanaunz.com your dates of stay, how many treks or lessons required and experience with riding if any. All trails include 30 minutes preparation & tuition. Pace is tailored to ability of riders in each group - novice to advanced. Minimum age on trails 10 years. 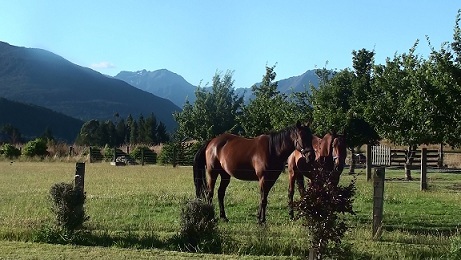 Te Anau also offers some of the most beautiful Horse Hunting in the World. 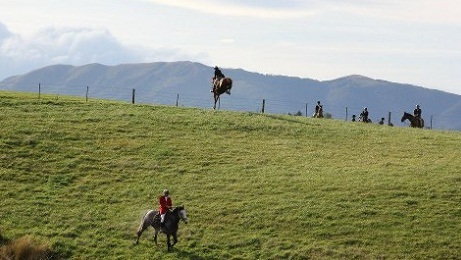 If you are an experienced rider you can arrange a longer stay and go hunting with the hounds. Kepler Oaks is ideal for tourists with families to visit only on a fine day if they want to view ponies, chickens, dog, cat and rabbit, sheep(with the opportunity to feed lambs during spring). 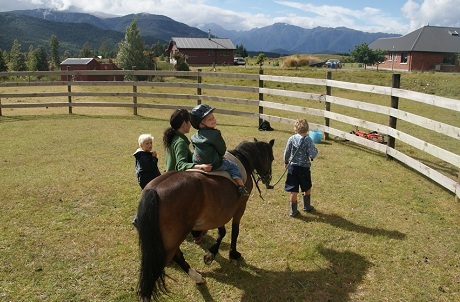 Tour includes grooming the pony then ride in the safety of the round-pen as younger children are too young to go on a horse trek. As the children are young parents will be required to wear enclosed shoes so they can lead the pony while I walk beside the child. Tours include morning or afternoon tea and a short quiz for a lucky dip prize for the children. Tours take 1- 1.5 hours depending on number of children riding. Cost per family (up to 5) is $50. Extra person is $10. I can also offer pony cart rides for an extra $20 per group. Enjoy learning to ride on our beautiful horses & ponies; individual & small group sessions. Includes grooming, saddling, garden ride, fun lesson. Instruction in horse care, management and pleasure riding. As per list below. Come and learn to ride correctly and care for horses with a experienced instructor with over 36 years of riding knowledge. We cater for all levels and ages, we are open Monday to Friday 9am to 3.30 pm. We have a good range of schooled horses and ponies to learn on. 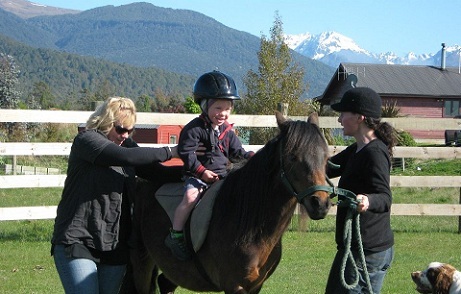 We provide a half hour riding lesson and then complete a 45 minute trek along the Waiau River or Lake Te Anau. The lesson includes a course to teach people about looking after horses. This is designed to compliment your riding lessons. Sessions are 1 ½ hours. Run on a weekday from 9am to 3.30pm evenings (depending on demand) Bookings essential. Transport to and from TeAnau available. Note: Riders must be responsible for their own insurance, and will be required to sign an indemnity form.